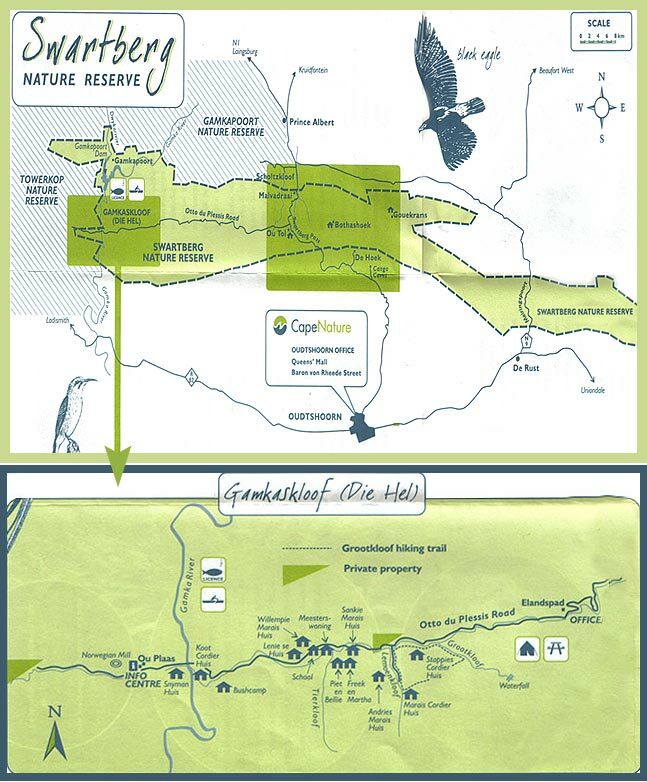 Die Hel in the Gamkakloof Valley was first inhabited by farmers in 1830. 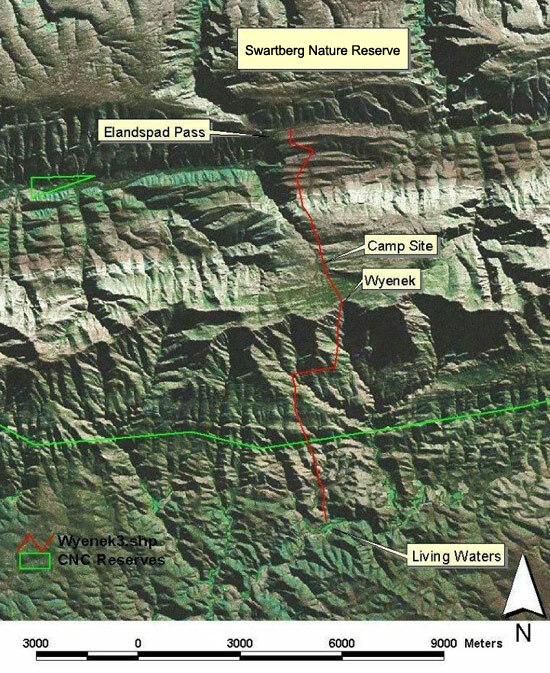 It was accessible only by foot until 1963 when a road was built winding from the Swartberg Pass down into this remote valley. 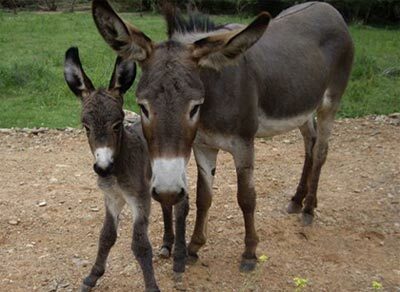 Before the road, a 'donkey trail' over the Swartberg Mountain from Calitzdorp to Die Hel was the only commercial life line with the outside world. 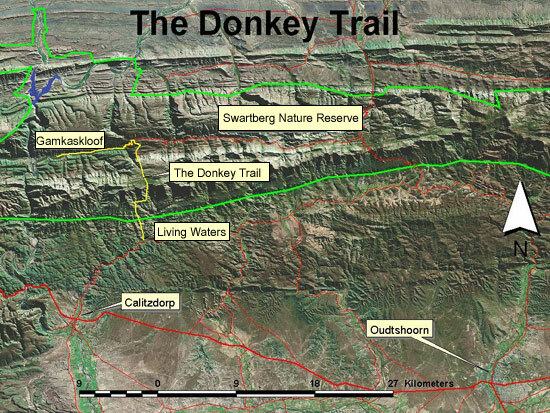 This historic 'donkey trail' starts at Erika Calitz's family farm Living Waters near Calitzdorp.